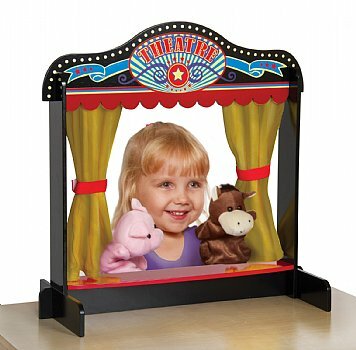 The Act One Tabletop Theater features a platform and curtains to create the perfect storytelling, puppetry and dramatic play stage. 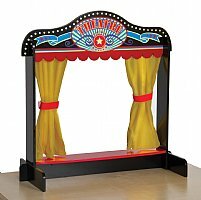 Easy assembly and disassembly. Ages 3+. 24″W x 10″D x 24″H.